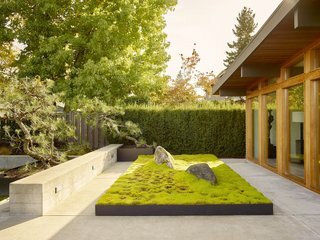 Rerucha Studio adds a wall of glass and a Japanese-inspired garden to Art Collector’s Retreat in Bellevue. Architect Jill Rerucha had a big task on her hands. 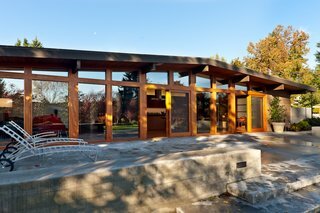 For her latest project in Bellevue, Washington, the founder of Rerucha Studio saw a home that had a lot of potential thanks to its previous architect, Paul Kirk. 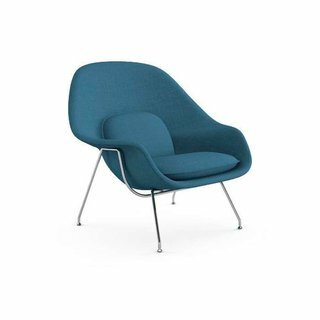 An original proponent of Pacific Northwest design, Kirk believed in simple and serene decor punctuated with regionally appropriate materials. Before: The porch of Art Collector's Retreat, as the home is called, was in disarray and devoid of greenery. After: Elevated landscaping allows the lush greenery of the outdoors to take center stage. Built in 1958, the residence followed the regional tradition—however, with time (and several "trendy" remodels), its integrity was completely lost. "There were no windows at all, and the entry was actually through the carport," explains Rerucha of the original exterior. "We had to just completely strip it—there was no option." 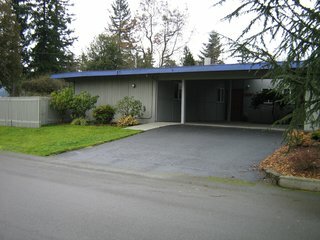 Before: The lack of windows gave the home an empty, desolate look. She replaced the walls with a series of windows and relocated the door to the center of the home, which she then dramatized by use of stainless-steel accents. The entry sequence was created by elevating the landscape, allowing for the outdoor space to really stand on its own. By focusing on warming tones and woods throughout the home, Rerucha mixed modern and rustic to create a soothing retreat. 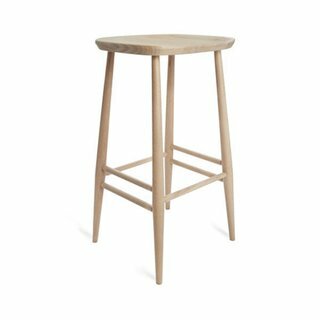 Windsor-style bar stool with molded seat and tapered legs. Made with ash and beech woods. 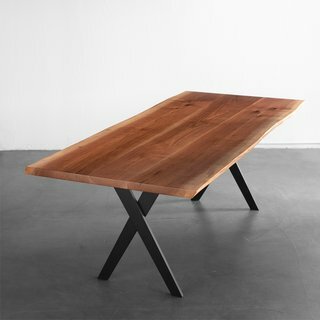 Classic design with sturdy joinery. Available in two heights, 25.5” and 27”. 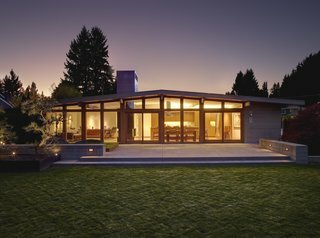 The doors mix wood and glass to allow for easy indoor/outdoor living, while the open floor plan keeps things airy. The home serves as a refuge for the homeowners, a couple who pride themselves on being avid art collectors. "They really love the original Pacific Northwest features of the home, and since their art is warmer in tone, the dark wood inside really was the perfect backdrop for their collection," says Rerucha. 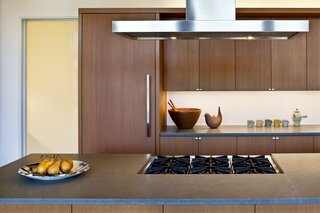 The modern kitchen boasts state-of-the-art appliances. She also paid homage to Kirk with her use of layered materials all throughout the home—think cozy rugs, local materials, and dark leather. This combination of textures makes the home look elevated. 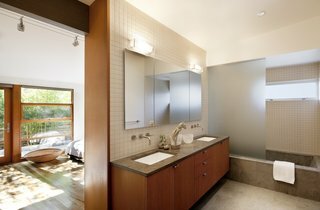 Modern tile in the bathroom and a minimalist bedroom give the home a polished, yet inviting, look. While the interiors provide a calm sanctuary and gallery-like space to display art, the landscaping invites indoor/outdoor living. Taking inspiration from timeless elements of Japanese gardening—mostly pine, stone, and moss—the garden serves as yet another space of quiet introspection. Inspired by Japanese gardens, the outdoor spaces are serene and comforting. "We wanted the exterior to really be at the forefront, and we made sure to draw attention to that by use of the large glass windows," says Rerucha. 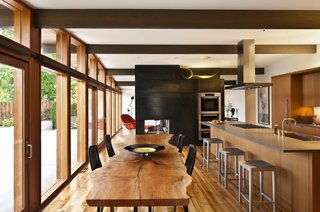 These expansive walls let light flow naturally through the home, while the doors near the kitchen area open out to a large porch for the warm summer months. 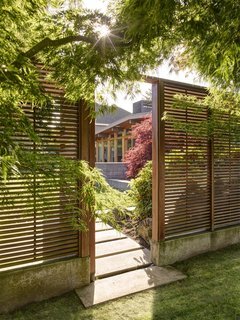 The walls guarding the entryway provide privacy, but allow views and light to bleed through. "I wanted to have two sections of the home," elaborates Rerucha of the design decision. "Both an area to simply observe the vastness of the landscape, as well as an outdoor area to enjoy it."